In the summer, Myanmar’s rural areas face water shortages almost every year. Government assistance and private donations help ease the strain, but they aren’t enough. According to the 2014 census, only 61 percent of rural areas have access to clean drinking water. In February, the government said it was aiming to bring clean drinking water to the entire country by 2030. For the past five years, Myanmar has marked World Water Day every March 22. This year’s theme is “Nature for Water” and aims to encourage people to find ways to use nature to overcome problems stemming from too much water, too little water, and pollution. In mid-2013 the Myanmar government started reforming the country’s water sector — with the support of foreign governments including the Netherlands, South Korea, China and Australia — to educate people about water resource management across the country. In the meantime, local and international non-governmental organizations (NGOs) are also spreading awareness and teaching locals how to manage their water resources. One of them is Singapore-based Lien AID. 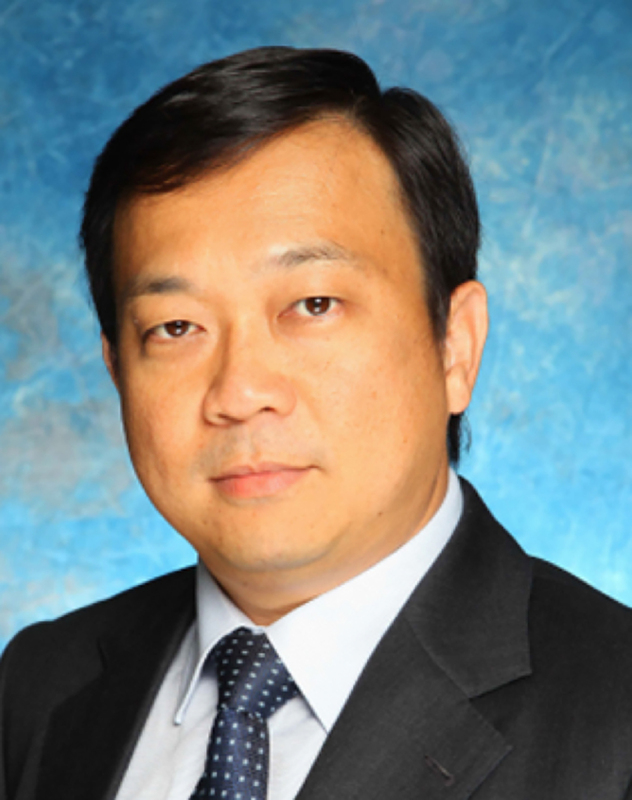 CEO Koh Lian Hock believes in equipping people with the knowledge and skills to solve their problems on their own. A businessman-turned-development worker, Koh Lian Hock spoke with The Irrawaddy’s Nyein Nyein about his NGO’s work in Myanmar. As a Singaporean NGO, what brought you to Myanmar and other countries like Cambodia, Vietnam and China? First of all, based on the UN report on water and sanitation, I think Myanmar needs support. Also, we have experience in developing countries, so we hope to do some work in Myanmar. We were providing support after Cyclone Nargis in 2008-09, building some infrastructure projects. We came back in 2015 and have completed projects in Magwe Region and Bogale and Myaungmya townships in Irrawaddy Region. We will expand our programs to other parts of Myanmar in the near future, including Shan State. What water management and sanitation programs does Lien AID have in Myanmar? We work with the government’s Department of Rural Development (DRD) and focus on capacity building. Together with the DRD, the village leaders and township departments we help them to be able to create programs for themselves. In five villages [in Magwe and Irrawaddy regions] we are hoping that the townships themselves can use these model programs and run the same programs on their own and to extend them. We work with some of the townships’ public health departments and schools. They can do these kinds of water and sanitation projects collectively, and over time they can repeat them themselves. Our approach is really capacity building, working with local governments so that hopefully they can sustain [the programs] after us. Can you elaborate on your programs and capacity building? In one of the townships, we did some research to understand the water issues in the area. Then, with the DRD, we identified what kind of challenges they faced and what other local NGOs wanted to work on this kind of water project and were able to mobilize the communities in the villages. We want to be able to work with village people. They are very motivated and willing to solve their own problems. We got them together in a forum and discussed the challenges they faced, their strengths and weaknesses, and identified some of the gaps and then mobilized them. We facilitated the discussion between the government, the CSOs (civil society organizations) and the local villagers and provided support in terms of knowledge, technical support and funding. In the past the government did one thing, CSOs did their own (thing) and villagers did it in a different way. We try to bring them together to solve this problem as a group and try to solve the problem on their own. We facilitate this discussion. If they need knowledge, we provide knowledge. If they need solutions or technical know-how or funding, we help them find funding to help them find a solution as a group. Because we believe this issue, in this location, is best addressed by the people. Although we have experience, when we come here the issues are different from what we have seen in other countries. What we can do is we can have discussions with them. Myanmar has a lot of water resources because we have many rivers, tributaries and streams. But, sadly, we face water shortages every year, especially in the summer. Why do you think that is, and how could we prepare to overcome this problem? It is because the monsoon season, which brings most of the clean water, is ending earlier, so that contributes to it. Also, the poor management of the existing water infrastructure causes pain for rural communities. In Irrawaddy areas, seawater intrusion, especially into the Irrawaddy River, is the other reason. What we believe is the way forward is to have all the various stakeholders — the local governments and non-profits and companies operating in Myanmar, and individuals and academics — (come together) to solve the problem. This is the big issue. The issue is also different for different locations. The other angle to look at is the policy issue. The government may have a national policy, which is very broad. When it comes to the local, sub-national level, it brings benefit to little locations. That’s why it’s necessary to bring collaboration to the local communities, especially to the rural communities. The program we are trying to work on now is really to work together as a team and understand the local situation and then find out what the gaps are in terms of knowledge, funding and capacity building. And from there we work as a team and make sure this issue can be resolved. If you go to the [Irrawaddy] delta, there are so many ponds that have been built by many people. The problem is ongoing, how to make sure this infrastructure [the ponds] can be maintained. It is a big challenge we see, and it requires people on the ground and NGOs like us and various parties. This maintenance requires knowledge and making sure it is carried out on an ongoing basis. If you don’t have people to maintain infrastructure all the time, the volume of water in that location will not be enough, especially in the dry season. From your experiences traveling to villages in Myanmar, how do you find the water management knowledge of Myanmar people? I have traveled to the villages about 10 times. We were having a discussion in a village house, through translation. This person asked me similar questions about water scarcity in the delta and how to solve it. A villager said he wanted to drill more wells in his village. I actually told him, based on my understanding that the village had a big pond every five or 10 meters, that they should be enough for the village. If they could manage the ponds and maintain the wells, they should be sufficient. So I asked him, why do you want to drill the wells? He said because all the other international NGOs that had come there said that drilling wells was the best thing to do. Have you considered that if you dig wells you are potentially extracting very precious water currently in the ground and you may have no water in the next generation because the underground take thousands, if not millions, of years to form this water? Now the best way to manage water sources is base on rainfall and maintaining it well, and there is no need to spend money to drill wells. The villager told me, how come in the past nobody urged us to manage this water and said the first thing was to spend more money and drill more? That is from a short conversation we had.